ESOS Phase 2 has now arrived. What is ESOS Phase 2? Do I have to comply with ESOS Phase 2? What will ESOS Phase 2 cost? What data will I need for ESOS Phase 2? What do I get from ESOS Phase 2? What happens if I do not comply with ESOS Phase 2? Let’s roll up our sleeves and try and answer some of these. ESOS Phase 2 is the latest phase of ESOS, the governments initiative to lower carbon emissions from large companies. It started on 6th December 2015 and finishes on 5th December 2019. After this date, ESOS Phase 3 starts. It is a UK law, not European so Brexit will not affect your requirement to comply. Do I have to comply with ESOS Phase 2 / what are the criteria? You are part of a corporate group in which any other part is in ESOS. Most reputable companies charge approximately £7,000 + VAT for an audit but it could be as low as £3,000 or as high as £50,000, it depends on the work required. ESOS Lead Assessors that use automation (such as the Plato ESOS Platform) are generally cheaper. Some ESOS assessors are charging in the region of £1,200 for an assessment. Please exercise caution here. ESOS Phase 2 is a lot of work and prices such as these might possibly mask the fact that the people offering the service don’t fully understand what is required. Two of our clients came to us because their previous ESOS Lead Assessor had ceased trading overnight leaving them in a mess that we needed to sort out for them. What will I get from ESOS Phase 2? A tick in the government box that you comply. I know this isn’t what the legislation was set up to achieve, but a large number of our clients are only interested in compliance and have little interest in the contents of the final report. A report with a detailed analysis of your energy use and what you could do to lower it. As a guide, most executive summaries run to approximately 15 pages and the full reports are generally 100-300 pages long. 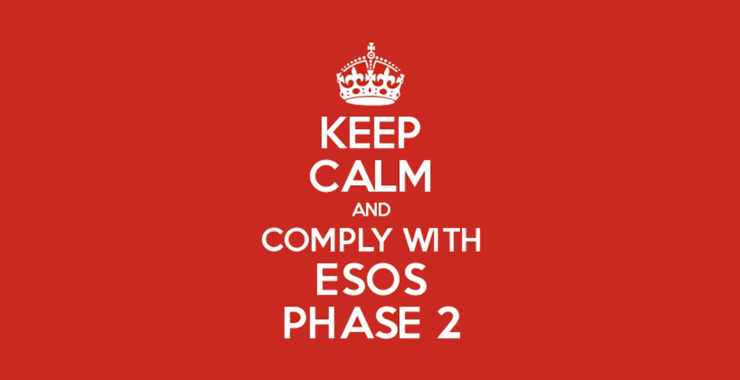 You will get fined and forced to do the ESOS Phase 2 assessment. Fines are at the discretion of the Environment Agency. They are supposed to be £5,000 on day 1 and then £500 for each day of non-compliance although in reality, fines issued to date vary from £1,800 through to £44,500. Your company name is also advertised as a non-compliant company. As ever, if you get any questions or you would like Enistic’s help with ESOS Phase 2 compliance, please just get in contact with me. My direct line is 01865 598 776 and my email is Darryl.Mattocks@Enistic.com. Some of the points above are simplifications of the situation but they should act as a good guide for you to get started.